A great place to start is to utilize this life skills assessment from the AFLS as it provides for a strong foundation of functional self-care skills individuals with autism and/or developmental disabilities need in order to care for one’s self. Basic self-help, self-care, self-management, and core communication skills are assessed in this protocol. 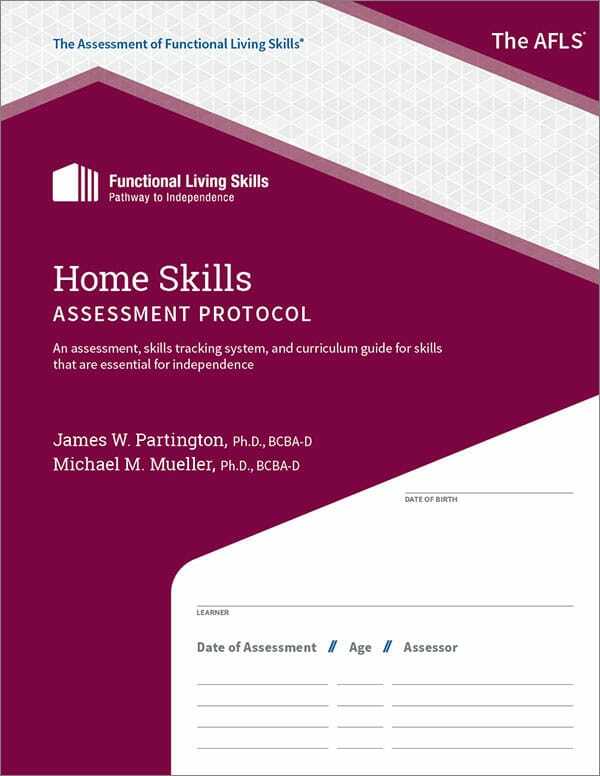 The skills assessed in the Basic Living Skills protocol should be thought of as prerequisites to develop a life skills curriculum for any learner regardless of age, setting, or disability. This part of the AFLS systems are critical – when these essential skills are mastered, the foundation is in place for learners to increase their ability for success in their home, school, and community across their lifespan. Get your copy of the Basic Living Skills Assessment Protocol and The AFLS program today!